Harry was another of the strong Victorian walking squad who came to the fore in the 50s. He began racing in 1953 as a 17 year old. He joined the Victorian Walkers Club the following year, the same time as Bob Gardiner. 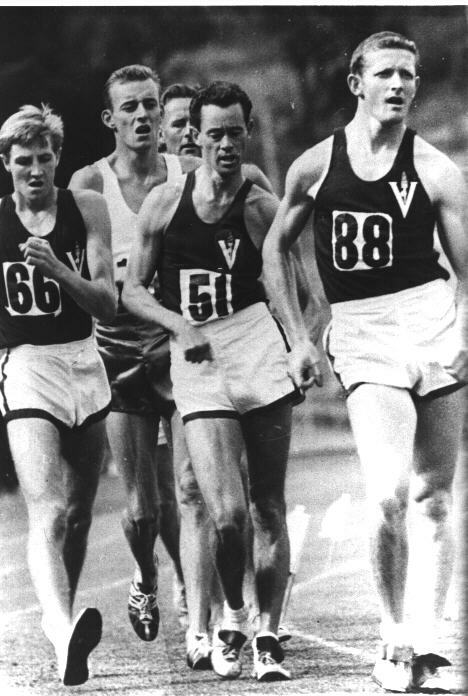 Within two years, Harry had won his first national medal (a bronze) in the 1955 Australian 10,000m championship in Brisbane (49:21). He gained a second place in the Australian track 2 mile title in 1956 (14:15) and a third in 1960 (15:00) and featured in many clashes with Bob Gardiner and Ted Allsopp in the 1960s until consistent injuries influenced his decision to return to cycling. His interests were divided between athletics and cycling in his younger days. He concentrated on road and distance racing. Among his victories was the Grafton to Inverell classic. 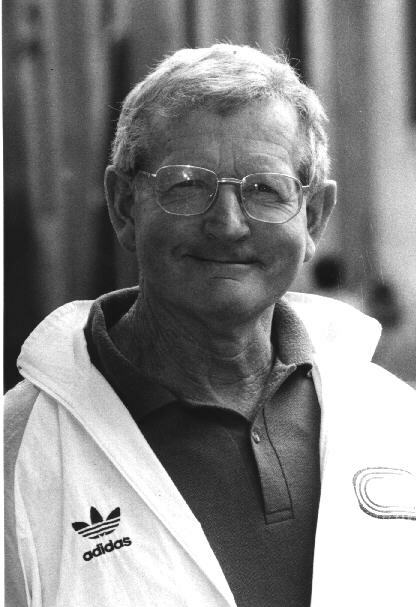 Harry returned to serious walking with the advent of the Veteran movement and won gold and silver in the 1981 World Vets championship in New Zealand. He was also selected in Australia's 1981 Lugano Cup team and rates that selection as the "personal highlight of my career". He was the oldest athlete, at 46, to represent Australia. He was selected again in 1985 in the team to the Isle of Man when 50 years of age – a remarkable achievement. He was always a club man. He was club Vice Captain in the 1958-60 timeframe and when he returned to walking later in his career, he was club Captain in 1982. In 1983, he was elected to the position of club President and is still going strong 18 years later. He is our second longest serving club president behind Alf Robinson. He was awarded his life membership of the club in 1990. - He managed the 1983 Lugano and Eschborn Cup team to Bergen and the 1987 Lugano and Eschborn Cup team to New York. - He competed in the 1981 Lugano Cup 50 km walk in Valencia and in the 1985 Lugano Cup 50 km walk in the Isle of Mann. - He managed the first walk team to visit China in 1985, comprising Sally Pierson, Kerry Saxby and Anne Ryan. This was partly financed by the Australian China Council. An interesting memory on that trip was Anne Ryan's fear of the local water. She drank only apple cider and it was only when she tripped over a few times that she realised the apple cider (they supplied) was alcoholic. - He has been on the executive of the Australian Track and Field Coaches Association for the past 8 years. - As President of VRWC, he has been an automatic Vice President of AFRWC for the last 18 years. - He became the Australian National Walk Coach in 1998. He still maintains the position of National Walks Coach (Educational) and works alongside Ron Viegel, the AIS walking coach. After nearly 50 years of involvement in race walking as a competitor and official, Harry is still a keen competitor at veteran and state level and continues to mix his many portfolios and contribute to the sport at so many levels.